Home Brain Supplements How Closely Intertwined is Fish Oil and Memory? For some time we have been hearing about the wonders of fish oil. Studies have shown us that it is great for heart health and has the ability to lower cholesterol levels. But what about fish oil and memory? Does taking one little pill per day really have the ability to improve our mind? More specifically to improve our memory, concentration, and focus. Well many researchers would certainly argue this point. In fact, there are numerous studies that give us irrefutable evidence that fish oil and memory go hand-in-hand. So I guess if we were to take one supplement for the brain it should probably be fish oil. Why Fish Oil and Memory? Fish oil, which is rich in omega-3 fatty acids, namely EPA (eicosapentaenoic acid) and DHA (docosahexaenoic acid). Both EPA and DHA are essential fatty acids, which means that our bodies are not able to produce them. Therefore, the only way that we can get them is by consuming foods rich in omega-3’s or through supplementation. Both EPA and DHA are known to help our brain to function, thus, there is a direct relationship between fish oil and memory. However, it goes much deeper than this. Some years ago researchers found that EPA because of the size of the molecules could actually cross the blood brain barrier. Later they found that the same was true with DHA. This was great news as it meant that we could use the supplements for medicinal purposes. Today a number of doctors, both general practitioners and naturopathic doctors, use EPA and DHA in higher doses for depression, heart health, ADHD, and even diseases of the central nervous system. Clearly omega-3 fatty acids are a wonder drug. While they are found in a number of foods, we are not able to consume the amount of food required in order to get the quantity of EPA and DHA that we need. Therefore, the only way to reach therapeutic levels is through supplementation. Still not convinced, let’s take a look at some current research. If there was proof of the relationship between fish oil and memory would you start regularly taking this brain supplement? Another study conducted out of University of Pittsburgh examined supplementing with fish oil to test dopamine transmission and memory on 11 healthy individuals. The connection between fish oil and memory seems to go even further with studies showing that those who regularly eat foods rich in omega-3 fatty acids or supplement were less likely to develop Alzheimer’s disease. We all know that there is nothing that we can do when it comes to aging. We are all going to age regardless, but what we can control is how we age. We have the ability to take care of ourselves differently than our ancestors and this is in part due to the advances that have been made through science and medicine. Through countless studies we have been given the tools and information needed to take care of ourselves so that we can live long healthy lives and one of the most important things that we can do is take care of our brain. While only a few studies have been highlighted here, it is clear that there is a direct relationship between fish oil and memory. In fact, the benefits of fish oil extend much further than memory alone. This powerful supplement can reduce levels of inflammation in our bodies, which directly impacts on heart health – a leading killer of American’s. I know I am ready to start taking my daily dose of fish oil. What about you? 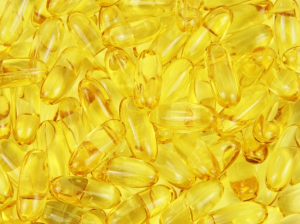 Watch this video before buying any fish oil supplements. Disclaimer: We do not endorse any products and are not affiliated in any way with products shown on the video. This video is recommended for educational purposes only.